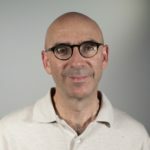 Joseph Romm was named one of “The 100 People Who Are Changing America” by Rolling Stone magazine. CNN host Van Jones calls Joseph “the communicator’s communicator.” Time magazine named him one of the “Heroes of the Environment” calling him “The Web’s most influential climate-change blogger.” He founded the website ClimateProgress.org, which New York Times columnist Tom Friedman called the “indispensable blog.” It is now the climate vertical of ThinkProgress, one of the top online news sites in the country. Joseph is an MIT-trained physicist and author of 10 books. His latest, “How to Go Viral and Reach Millions,” is “an indispensable book for everyone who tweets, who posts online or who loves language,” NY Times columnist Tom Friedman tweeted in June. Joseph is also Chief Science Advisor for “Years of Living Dangerously,” which won the 2014 Emmy Award for Outstanding Nonfiction Series and now generates viral videos online seen by tens of millions a month. He is a senior advisor for New Frontier Data, the leading “big data” firm providing actionable analysis in cannabis, whose content reaches hundreds of millions of people a year. Anna Foster is the Founder/CEO of A Maven’s World Lifestyle Brand. 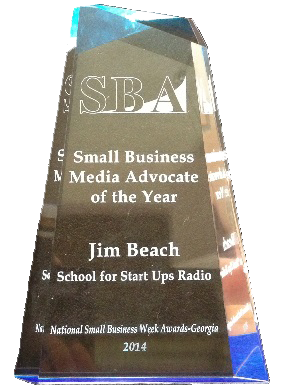 She is a connector, influencer, radio host, event host, and speaker. Anna is known by her clients as the “Maven” of Business,” because of her business savvy and strategies of brand development and enhancement. Her popular workshops “Creating Your Brand” and “Mindfulness for Entrepreneurs” serve as a guide for professionals looking to develop their personal and professional brand. Anna has partnered with numerous entrepreneurs, non-profits, and corporate clients including the Massachusetts Institute of Technology (MIT), the Urban League of Eastern Massachusetts, the Bottom Line, the Greater Boston Sickle Cell Disease Association, Conexión Executive Mentorship, and Leadership Program, and NAACP ActSo/STEM Competition. 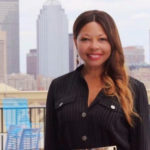 She is a member of numerous professionals organizations, including the Boston Chamber of Commerce, South Shore Chamber of Commerce, and the South Shore Women’s Business Network. She presently sits on the Small Business Advisory Board for the Greater Boston Chamber of Commerce. 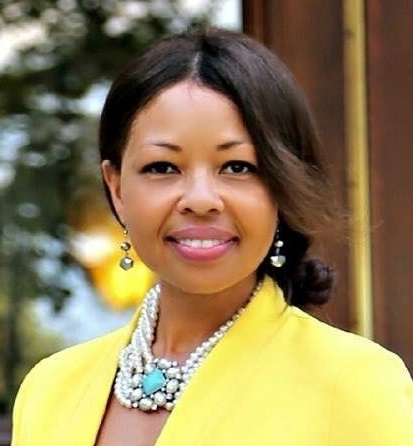 Anna is the former Vice Chair of the Network for Women in Business-Massachusetts and the host of “Life is Fabulous with Anna Foster,” a lifestyle-focused talk show on various media outlets. Prior to founding A Maven’s World, Anna owned and operated several businesses in various industries. This experience has fueled Anna with the passion to assist entrepreneurs and professionals to live their best life and gain success by living authentically. Several years ago, Anna set out to create a world in which people who are facing obstacles and encountering challenges can feel safe instead of scared, empowered instead of defeated, and be rewarded instead of rejected. Jason Bryant is a 20-year law enforcement veteran of a major metro police department. He has advanced training in active shooter events, among other police tactics. 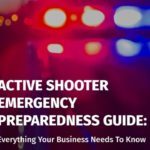 He trains and educates hundreds of businesses, churches and other organizations on active shooter preparedness. Active shooter events are sadly becoming an increasingly frequent occurrence in the United States. In 2017 alone, there were 29 active shooter incidents in the US. Many of the most recent mass shootings, such as the attacks in Parkland, FL and Santa Fe, TX, have occurred in schools. However, most active shooter events do not happen in schools. Approximately half (45%) of all active shooter events take place in the workplace.